Yeehaaa… yum yum… it’s Cowboy Cookies. 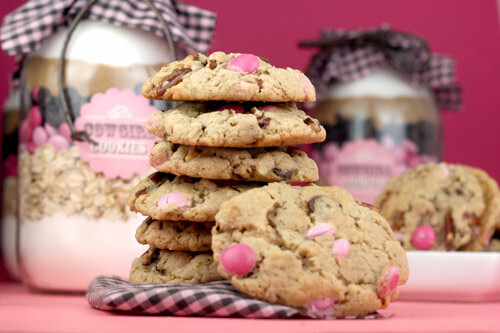 Or, in this case, Cowgirl Cookies. A friend introduced these to me and I love them. Especially the name. Cowboy Cookies. Cowboy Cookies. Cowboy Cookies. Rolls off the tongue doesn’t it? 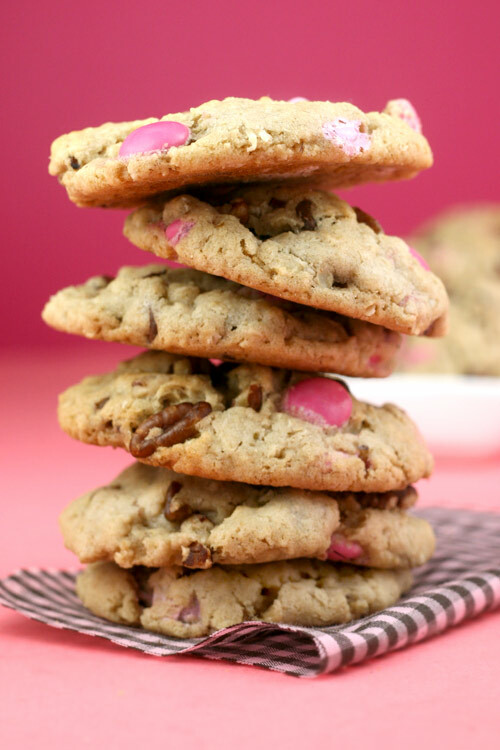 Well, I took the traditional oats, chocolate chips and pecans this cookie is known for and added some pink m&m’s to make them, well, more girly. But why stop there. I also made a few cookie mixes to try out as a test run for a gift idea. You see, I missed said friend’s birthday (sorry friend) and I wanted to make up for it. So, I took her basic recipe and made a few adjustments so I could fit all the ingredients into these jars. They’re smooth Ball jars made especially for crafts. Smooooooth. No embossed logos in the glass. Nice. 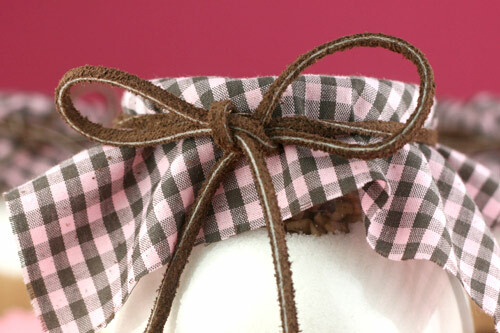 And with a little fabric, labels and a brown suede bow, they’re perfect little gifts. But which one should I give her? It actually matters because I made four different variations. If you notice in the photo above, some of them have more oats, more flour or more sugar. I was trying different combinations to get all the ingredients to fit. Oh and note to self: Use a ruler when attaching labels next time. Luckily, the first test batch I made, worked. Yes! Stir all the dry ingredients in a large mixing bowl. Mix wet ingredients into dry ingredients. Use the back of a large spoon to work it all together. You may even need to use your hands to get everything incorporated. 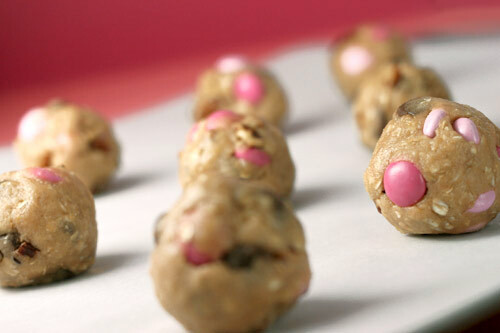 Then roll the cookie dough into 1 1/2 inch balls, place on a parchment covered baking sheet and bake for about 10 minutes in a preheated 350 degree oven. I got about 26-28 cookies out of these. Here’s how they came out. Pretty and tasty. 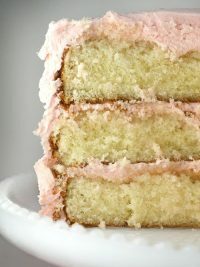 But I still want to try the other mixes later, and if one tastes better I’ll make sure and update the recipe. Besides, I want to know how long these will last in jars. Any ideas? 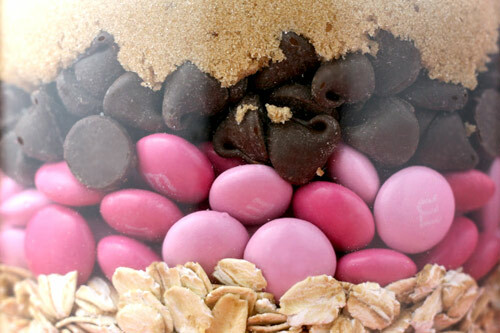 Want to make some cute cookie mix gifts, too? Here’s how. Start with a 1 quart smooth Ball jar. I found these at Hobby Lobby craft store. Pack each level down really tightly. I mean it. Pack it in. Or else it won’t all fit. Also, I added the chopped pecans last, because if the ingredients were too much or not enough, then I could add more or less pecans to adjust. I’d rather sacrifice nuts than chocolate, you know. The ingredients should be flush to the top of the lid when you seal it up. See. There’s some of the pecans peeking out from under the fabric. To decorate the top of the jars, get a spool of suede cord and some fabric. I really wanted to find some pink western bandana fabric, but this will do. Anyway, cut the fabric into 6 inch squares and the suede into 25 inch pieces. Place the fabric on top and tie ribbons around the lid to hold it in place. For the labels, you’ll need some card stock, a paper punch and double-sided tape. You can use the pink labels I made if you want. DOWNLOAD THE PDF HERE. 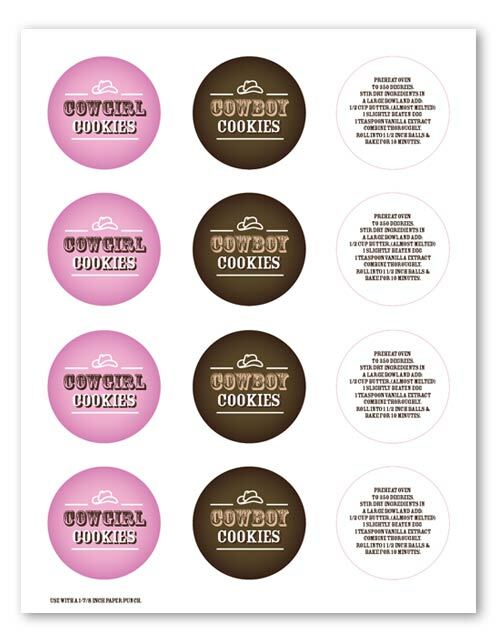 I also included one for the baking instructions and a label for Cowboy Cookies in brown if you want to gift these to boys or girls. Note: you can change the color of m&ms and give them as Halloween gifts, or Christmas gifts, too. Check out the seasonal m&ms in the candy aisle. They are usually available in special holiday colors or themes. The pink ones were in the Breast Cancer awareness bag. Also another great gift idea. Next Post Their name says it all. I LOVE THESE. THEY ARE SO SO CUTE. 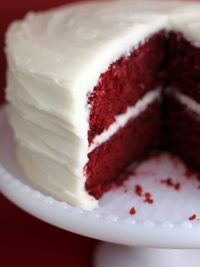 Thanks so much for sharing the recipe and the wonderful gift idea! Love those labels! Oatmeal chocolate chip = my FAVORITE kind of cookie EVER. YUMMMM. These look really good. My local chocolatier (hey, he gives me all the best chocolate) has one of the M&M Works, so I can pick up any color I could set my heart on! I just made the cookies. I was disappointed that I couldn't find pink m&m's anywhere though. So I used regular ones and picked out the red and yellow ones to make them as girly as possible. 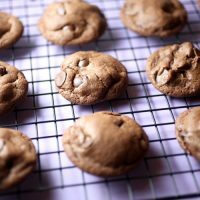 They're cooling now, I can't wait to try them! Seriously, sometimes I just can't take the cuteness! Thanks so much! You're so creative and generous to share the great idea!!! I love it! I don't think these could be any cuter!! Oh my goodness!! Thank you so much for this awesome idea! I am going to make them them in the jars to say thank you for some people and maybe for Christmas too! You are so clever. I love reading you blog! 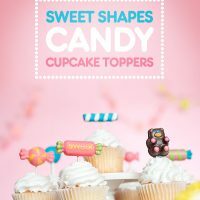 i'm making these right now for back to school! This is such a creative and easy gift idea. I can't wait to make some to give out! I LOVE pink, so these will be so fun. But it will be a great gift for friends to do at Christmas (with the different colored M&M's), without breaking the bank. Thank you, thank you! I love everything about these. I can't wait to put some together for gifts. man you always make the cutest crafty things! thanks! Bakerella, you're so insanely adoreable. It has to be said, you're a little bit of a hero to me. In a world where people rarely even say hello in the street Bakerella is baking the world a better place one cowgirl cookie at a time. You've inspired me to make my new neighbours a big batch of cupcakes. Not because I have to,(I could go years without even saying Hi if I wanted to) but because it's the neighbourly thing to do. 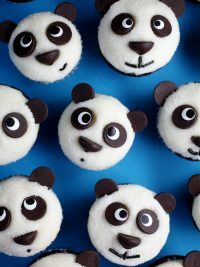 Wow, these are adorable!!! I can't wait to make these for Christmas gifts!!! Thank you for this!!!!!!!!!!! 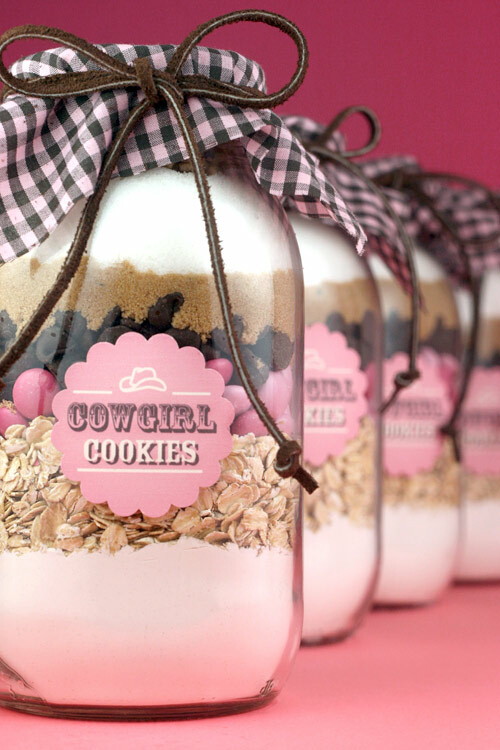 Gosh, I don't know what looks better, the cookies or the lovely jars all made up! So freakin' adorable! 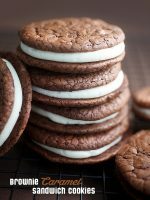 I want to make them (and eat them) all right now! These look like they came straight from the gift shop, very professional. One request that when giving butter amounts that it's in weight form for us international people. Cause I always seem to have troubles with USA measurement for butter. eg,1/2 a stick? what is stick? Cup – do you melt first then measure? At least with weight it's always going to the same, and I can convert pounds, ounces to metric! Lol! Carissa Rasmussen – no, but probably because I haven't been looking. Jennifer – here's something a reader sent me that came out pretty great. Ella – I like the name "Emergency Cookies". Missy – leave em out or coconut? English rosie lea, one quart is just under a liter I believe. It's 32 ounces, imperial. Melissa – quick cooking oats. Purple One – great tips! Your jar is adorable! I too make cookies in a jar, and they last a very long time, if they are sealed tight. I keep them on hand for my boys to do. Some of mine are over a year old, and everything is fine. However, we do not mix the baking soda/powder with the flour first. We either seperate it by placing it in a little well in the brown sugar/white sugar, or in a very tiny ziplock bag. You can get 1 and a half ziplocks from the candy center of your craft store. I love the Pink in your jars! MelADramatic Mommy – See you there. Anonymous – probably because I don't own any jars to recycle. And also the labels wont stick to the textured jars. But I'm sure people that use these a lot will think of reusing theirs. carla – glad to see it. Miss Jen – you can always order them online in any color.  Shannon Leigh Smyth – thanks! foxy 1/2 stick = 1/4 cup sorry. it's a habit. Too cute! 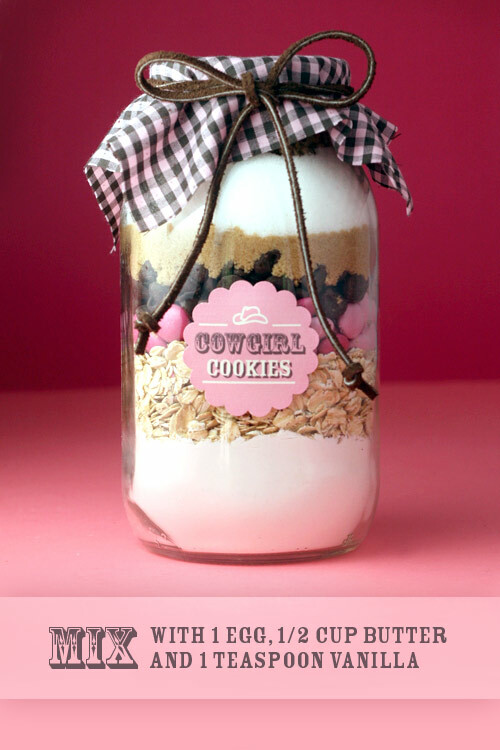 I have made cookie mixes in a jar and they do make great gifts. I find that most of my friends don't want to make them though because the jar is so cute! By the way, your food photos are great! I always enjoy seeing how you display your cute and tasty treats! Another awesome idea. I'll have to try this some time soon. three~I know they are going to be awesome because you made them! Holy cuteness. I am a city girl by heart and heels, but these are really cute. Great gift idea for my country girlfriends. Thank you. Love the way the pink background in all your photos ties the whole post together. Very cute idea. 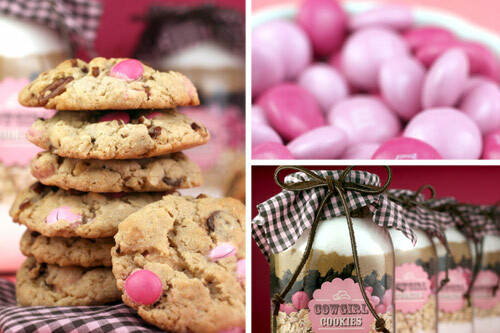 Cowboy/Cowgirl cookies are my kids' favorite after school snack. Since we recently moved to TX (cowboy country) I think these would be the perfect end of first week teacher gift. Thank you! Lurve it!!! Must pick up some sealer jars this week! One of those "why didn't I think of that!?" LOVE IT!!!!! I don't have a Hobby Lobby so that may take some doing but I am SO making these for Christmas! Your presentation is amazing. These are wonderful, Bakerella! Loving these in Texas!! Thanks for a great gift idea! 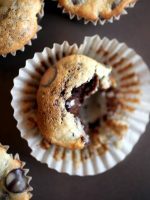 I also made your wonderful banana cupcakes and will be posting them later…with a wee surprise in the middle. I shall of course give you the wonderful credit you deserve… they went like 'hotcakes' at work. You are really helping me impress people there lady! OMgosh! I was just wondering how I could make my own labels and voila! There's a PDF with them! Yay! Thank you Bakerella! You rock! I can't decided what looks better – the cookie or the packaging in the jar. 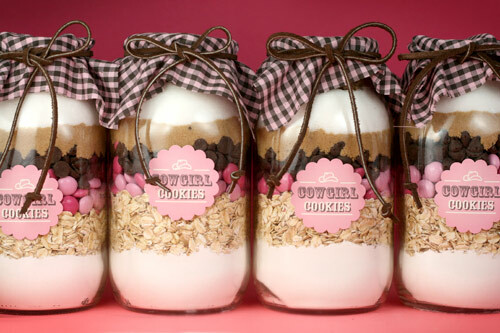 If someone gave this to me I'd have a hard time making it…the jar is so cute! those look absolutely delicious! mm! Looks like ~6 months for the shelf life and ~3 months with nuts. The baking soda and powder will loose it's potency after 6 months. If you take out the baking soda and baking powder, it could last up to a year. 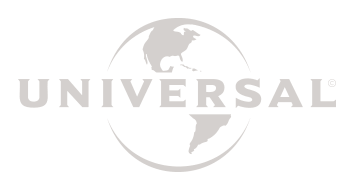 "Many people ask about the shelf-life of these mixes. If stored in a cool, dry and dark place, your gift can last for up to 6 months, as long as all of the ingredients used to make it were fresh. (Make sure your baking powder and baking soda aren't going to expire anytime soon.) If the mix contains nuts, it should be used within 3 months." You are so generous sharing your ideas with us! And the file to download the tags. Thank you! 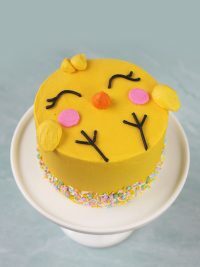 OMG Bakerella! You hit another out of the park again!! 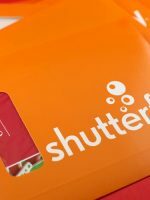 You always make the best looking goodies, your presentation is professional and classy, and your photography skills are impeccable! So when are you coming out with a book??? These are going to make some awesome gifts. Thanks! Thought i'd make try baking these before gifting them and WOW your onto a winner here, i gave them to my 5 screaming kids and whilst they was eating them,silence swept through the house…wonderful. Love the idea. The colors are so pretty together. How do you seal your jars? I use the jar sealer attachment on my food saver. 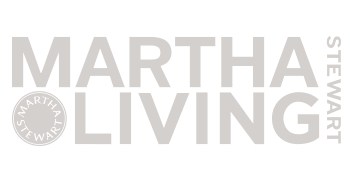 It makes a huge difference to the shelf life. Holy wow! These are fabulous! Wow! I love this idea!! Great work. I love the gift idea. I am always looking for something clever to give and this fits the bill. I don't mean to take up space here but I have to tell you how I found your blog. While I was in line at a JoAnn Fabrics I started chatting with a girl in line with me. I was purchasing the cutest cupcake fabic and somehow in the conversation, she told me about your blog…so here I am. I would love to send you one of my aprons that I made with that fabric, as it makes me think of you everytime I see it. Contact me at my email address and I will make arrangements to send it to you! You rock Bakerella!! I am visiting family and friends in Germany in 2 weeks and was going crazy trying to find gift ideas that were not too much work, too pricey and "American." This is a great idea!!! I'm going to get started on them this weekend. Thanks so much for such a delicious and great idea!! Awesome! 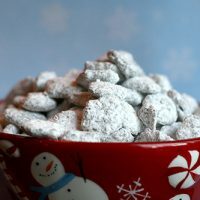 This is what I'm making for Christmas this year and I'm also giving them homemade vanilla which is currently bottled and will be ready to go in December! AWESOME!!! Tell you the truth, I love 'Cowboy Cookies' too. 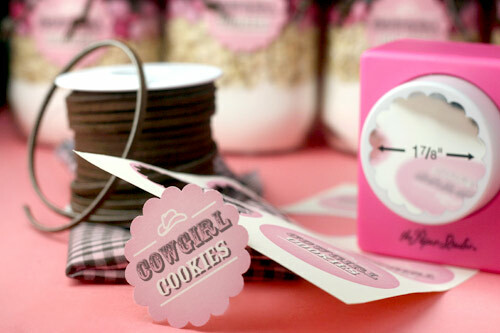 Or Cowgirl Cookies. I don't care what kind they are. If they taste good, they are gone the moment I touch them! what you also can do is, use the glass instead of a pan! and excuse my english, i'm german.. 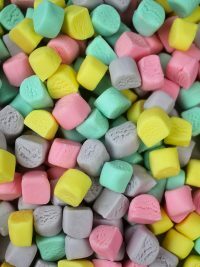 These were so amazing. I made them as soon as I saw the recipe. My husband has eaten almost all of them already. Thanks for sharing! I'm going to try to do this!! Awesome idea and the name is so catchy. I think I will try this for Halloween. I just love this idea! I've looked for good cookies-in-a-jar recipes, but have never actually tried them. 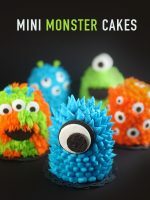 Because I KNOW you're stuff is yummy, I'm definitely gonna be makin' some of these. I'm thinking this would be a fun teacher-gift using school-colored m&ms. Yum! thank you thank you thank you!! they look amazing!!! 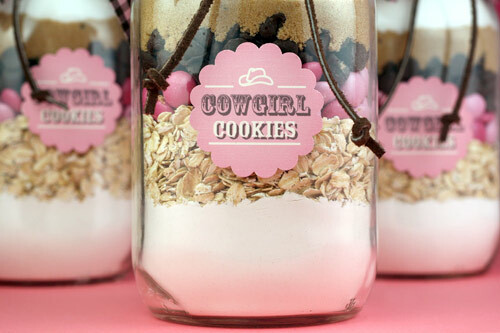 I've never made cowboy (or girl) cookies, but I love this as a gift idea! I can see so many other cookies that can be done this way, too. Thanks for the idea! I LOVE this idea! Thank you! Okay friend, I have looked at practically every store around to find the pink breast cancer m & m's and nobody has them…please share where you went to buy them!!! love this! i know what i'm giving my friends/family for the holidays this year!!! so many ideas are swimming in my head right now!!!! yes!!! i'm so excited!!! num, num, num, looks sooo good! TOO CUTE – AND GREAT IDEA! I've always wondered how long the mixes in jars last, too. If you find out, please let us readers know! Those are the cutest. I love getting these for gifts. Hey Bakie. These are really cool. It is a present I would love to recieve. Thankyou for continuing to be so generous with your creating. May the blessings return to you. Bakerella you are so ingenious! Now I'm going to have to add this to my food storage!  Timothy & Kimberly Pettitt – Wow. I hope they weren't a seasonal item. I'll look next time I'm at the store. They look great and I'm sure they taste great too! I am wondering if you can do a variation without the oats? I'm not a fan of oats in my cookies. How would you alter the recipe to eliminate oats? How large the the jars? 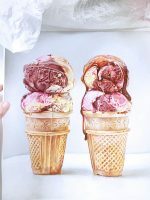 Can you give the dimensions? Thanks! 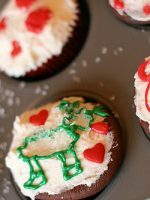 These look yummy!wiristmas will you be making halloween and christmas cookies and tags? I would love to give these to my kids teachers as gifts! I love that you do such fun things and show how to do them too. 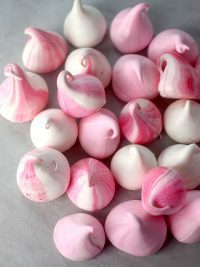 I'm going to make them for gifts for my grandchildren and hopefully teach the joy of baking! Thanks! Have you heard of Cake In A Jar? It's where you bake a cake in a jar so you can send it to people and stuff. It's great for women who have deployed husbands! 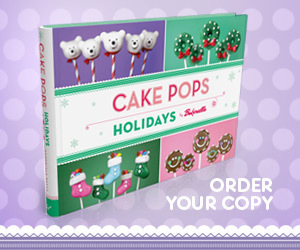 Plus you can do many varieties…just make sure you send some frosting, too! what a wonderful idea! and so pretty too. If only jars like that were available here ..
Love them and I also love how you incorporated your scrapbook supplies into the gifts !! Thanks for the pdf files too. So cute! where did you get the paper bunch from? Michaels? Wow..your cookies looking realy colorfull and yummii..Thank you for the recepy. Incredibly adorable! As always. Don't mind if I steal your idea and make these for myself! Every thing that you do is amazing. You do it and it turns to gold. 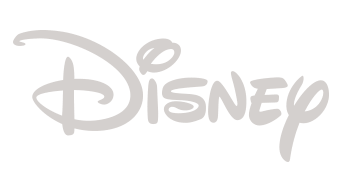 I love everything that I look at on your blog. You are awesome! And the cookies are so fun. Love them!! these is such a cute idea for gifting! They are so cute! 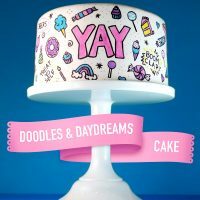 I just stumbled across your blog and it is just awesome! Can't wait to see what else you make! Love this! So friggin lovely and delicious! I couldn't resist adding this to our link luv roundup today. I love love love this gift idea!!! these are so wonderful. do you have an idea of what each jar costs for the project all in? also did you just use a fiskars punch for the sticker labels? I am working on gifts for 75 people with a mini budget of $150… these would be so fun. Such a great idea. Going to pass it on to my Georgeous Gals (local breast cancer survivors). Also thanks for including nuts. I LOVE nuts in cookies and was begining to think I was a minority. One of the 'Anonm. 's' commented about using other jars – empty Miracle Whip or peanutbutter jars work great for these type of things!!!! And, their labels peel off with hot soapy water ;-} I also usually run them through the dishwasher before re-using them.